Every time I add a little ashwaganda to my (almond milk) reishi latte on Instagram, many people write to me asking me what it is, why do I like it, and other great questions. A few of my students suggested that I write a blogpost about this class of herbs called adaptogens. Good idea! Let’s start from the beginning. 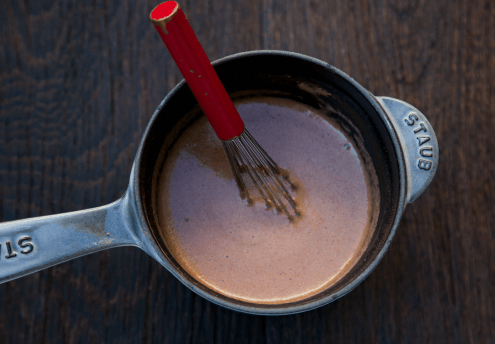 What are adaptogens? Adaptogens are Chinese herbs that fit into the following categories: one: they must be non-toxic to the body, and two: combat stress in the body. Generally, they are used to improve the health and quality functioning of your adrenal system – the system that is in charge of your body’s reactions to stress. Although it sounds like we have just started hearing about them lately, they have been around for thousands and thousands of years. While we normally think of “stress” as an external situation (e.g. a stressful day at work), stress in our body occurs very frequently. Stress hormones can be released when we exercise, don’t sleep well, are fighting off illness, or aren’t maintaining a healthy diet, among many other things. 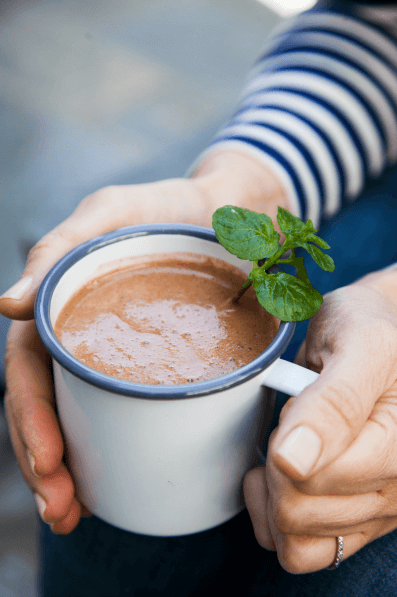 When you consume an adaptogen, it targets the area that has been negatively affected and works to return it back to “homeostasis”, or a “normal” state. There are many different adaptogens available to us. While each can have a slightly different function (reishi is very calming whereas maca is for boosting energy), they overall just work towards well-being in the body. They literally “adapt”- hence the name, to whatever it is your body’s needs are, and I think that is pretty cool! If this sounds like something you need in your life, luckily adaptogens are widely available now in many forms. You can get them in powder, tincture, or capsule, all of which are pretty easy to incorporate into your daily diet. Powders are great for adding into smoothies, and mixing with hot water to make a tea or “latte”. The tinctures can be mixed with any beverage and the capsules are easy to add to your vitamin or supplement regimen. These herbs are powerful however, so they are not something that can just be added by the spoonful to your smoothie- in fact, most of the herbs are best taken in very small quantities (like 1/4 – 1/2 teaspoon) and only slightly increased over time. They do need time to work too, so don’t expect results immediately but more so over a period of a few months after taking them regularly. Some brands that I have come to trust and love are Sun Potion, Four Sigmatic, and Gaia. Most adaptogens can be purchased at health food stores such as Whole Foods, or online at the companies’ website or on Thrive Market. Here are some of the more popular ones. PLEASE, however, listen to your body! If you notice heart palpitations or a general feeling of discomfort, that adaptogen isn’t for you. Do not take these if you’re pregnant unless you consult your physician. Commonly referred to as “Indian Ginseng, ” ashwagandha is one of the most powerful ayurvedic herbs known to help with stress reduction, energy, concentration and protecting the immune system. It can be taken in capsule form but I like using the Sun Potion powder in my smoothies or reishi lattes. I only add 1/2 tsp and feel the calming effects all day long. It is slightly bitter. Pregnant women and anyone sensitive to nightshades (e.g. tomatoes, peppers, potatoes) should steer clear of ashwaganda which is also a nightshade. This is a medicinal mushroom and I see a lot of athletes taking it to enhance physical performance because it can boost oxygenation of the body and help extend a workout or increase stamina. Basically, it help boost your energy if you’re an active person. I also think it’s a good energy booster without the caffeine jitters. Traditionally used for anti-aging, blood-building, beauty-enhancing and rejuvenation. This can boost the immune system, improve resistance to cold, improve stamina and nourish your endocrine and nervous systems. I add this to my reishi lattes, as well. I make a reishi latte almost every day and I put ashwaganda in it, as mentioned above. I’ll be sharing the “recipe” soon. Reishi is called the queen healer mushroom and is said to nourish the heart and pacify the spirit. It is also boosts the immune system and provides stress relief. It does not have a strong mushroom taste. Improves ability to absorb oxygen. May facilitate mental clarity, creativity, stamina, immune strength, weight balance, mood & focus. Many people find that this adaptogen helps with anxiety. Rhodiola is mildly stimulating in nature, so I would not consume it in the evening. So helpful. I inherited a large jar of Ashwagandha powder and have been wondering how best to incorporate it into our diet!